How to prepare for your Hot Air Balloon flight over the Yarra Valley - Australian Wine Tour Co.
Man has always wanted to fly since time immemorial. His desire to enjoy what birds often enjoy has inspired him to come up with all sorts of flight objects and machines. From jets and helicopters to spaceships and light aircrafts, this desire doesn’t seem to wade off anytime soon. It gets a whole lot better when one adds to the list hang gliders, parachutes and of course, hot air balloons. Of all these flight objects, there is one that always evokes one’s wild spirits and gets one excited about flying – the hot air balloon. But in as much as it is fun, there are several balloon flight safety precautions one must consider before flying. If there is one single thing that can stand between you and your balloon flight without giving you an option or a notice, then that is definitely the weather. You simply cannot and should not fly when the weather condition is too bad. That is, when it is raining or when there are high winds. 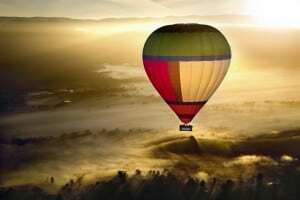 It is in fact possible to book a hot air balloon flight a month in advance just to get where you are supposed to take off and receive some bad news. The pilot simply insists you can’t fly. While this can be a very upsetting piece of news, it is the safety interests of everyone involved. We will do everyth ing we can to book you onto the next available date and have you up in the air as soon as possible. Children always get excited by anything that flies. You can therefore imagine how they can behave inside a balloon. Children must be over seven years of age to fly, and be condsiderate of children that may be afraid of heights or the unknown, as floating over the sky in a hot air balloon is a very unique experience. Be cautious with the brave ones; the ones that can hardly wait to fly. Keep an eye over them before and during the ride. It is hard to trace the connection between how one is dressed and hot air balloons. There is a code though, mostly made for women. First off, avoid skirts and dresses. It is simply hard and awkward to climb in and out of the aircraft. Remember to keep yourself warm especially if you will be going for a long trip and those cold mornings over the Yarra Valley can be bitey. Also if you suffer from respiratory conditions that can be affected by the pressure change as you fly. Be sure to tell your pilot if you suffer from any condition that can be affected by the balloon. Hot air balloons are just like other aircrafts. You never know who will be standing next to you in the flight. This is of course fun, as you will meet new people on the flight and probably have a nice chit chat and they will hopefully be able to capture some great photos of you. There is even a camera mounted on the side of the balloon basket to capture a big group photo, which will become a memory to treasure. 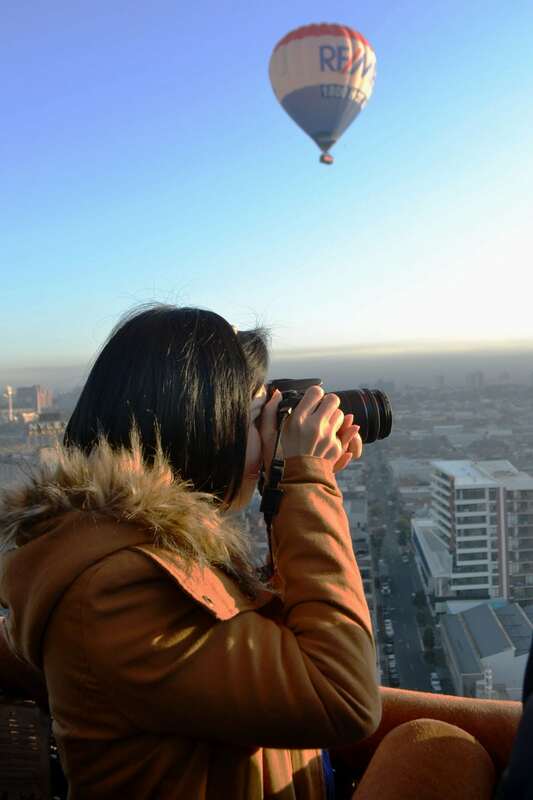 If you think you are ready to try a hot air balloon flight, why not look at our Yarra Valley Ballooning and Winery Tour package? We are well experienced in providing Yarra Valley wine tours and day trips so talk to us and find out more!